Yoga is the perfect complement to running; it helps flush lactic acid, lengthens tight muscles and tendons and improves your recovery time. Better yet, by incorporating this 20-minute routine into your day, you’ll reduce the risk of injury that threatens to sideline you in the best running weather. Keep in mind: breathe deeply as you hold the yoga postures. Exhale to go deeper into the pose and release tension. Do all five poses in sequence. HOW TO: Start with feet together, step left foot back about 3 feet, front heel and back heel lining up, back foot rotating forward, right foot aiming forward, and hips aligning forward. Bend forward over your right leg, keep back straight and quadriceps of both legs contracted. Hold for 30 – 90 seconds, repeat with left leg forward. Modification: if hamstrings are tight, bend the right knee slightly, make sure to keep your back straight. HOW TO: Start with feet together, step right foot forward, drop left knee down to the ground into a lunge. Make sure your right knee is lined up directly over your right ankle. Lean forward slightly to feel the stretch through your hips. Hold for 30-90 seconds, repeat with left foot forward. HOW TO: Start sitting on your heels with knees and feet together. If you are feeling a pull on your knee tendons or ankles, stay with this position. Modification – place a pillow between your heels and hips. To deepen the stretch – extend your right leg, sit on the floor move your left heel to the side of the left hip and aim the heel to the ceiling. Option: place a pillow under the right hip. To go deeper, recline back onto your elbows. Hold 30-90 seconds, repeat with the left leg extended. HOW TO: Step right foot 3-feet forward into a lunge position, drop left knee to the ground, wiggle right foot over to the left, and drop the right hip down to the ground. Option: slide a pillow under your right hip for support. Keep both hips level and your chest lifted; to deepen the stretch move your right foot further forward. Hold for 30-90 seconds, then switch sides. HOW TO: Start lying on your back, hook a strap, belt or towel around the ball of your right foot and extend your foot to the ceiling. Try to straighten your leg and contract your quadriceps muscle, aiming your heel to the ceiling. Try to relax your right shoulder and gently pull your foot towards your head. Hold 30-90 seconds, repeat on the other side. Donna Davis is the owner of Elation Yoga Centre in Ottawa and the online wellness company DonnaDavis.ca Her passion is running, yoga, and creating delicious plant-powered meals. Sign up for Donna’s newsletter and 12-Day Power Cleanse at donnadavis.ca, and don’t miss her Berries & Beet Smoothie recipe! 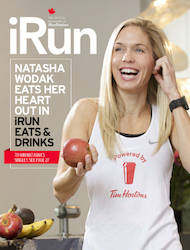 Originally published in the July 2013 issue. 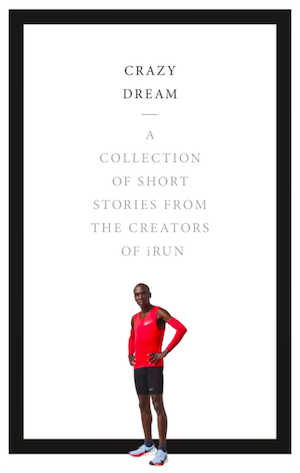 Check out the iRun archive! 說道：Magnificent put up, very informative. I’m wednoring why the opposite specialists of this sector don’t notice this. You must proceed your writing. I’m sure, you have a great readers’ base already!|What’s Taking place i am new to this, I stumbled upon this I have discovered It absolutely useful and it has helped me out loads. I’m hoping to contribute & assist different customers like its aided me. Good job.